As Canada marks the first anniversary of its trade deal with the EU this month, consumers may be wondering why they aren't seeing more European cheese on grocery shelves. The delays are a reminder of how complicated it can get when a trade deal pries open Canada's protected market. As Canada marks the first anniversary of its trade deal with the EU this month, consumers may be wondering why they aren't seeing more European cheese in their local stores. New varieties have been slow to trickle in — a reminder of how complicated it can be to pry open Canada's protected market. Canada also agreed to import more foreign dairy products in the Pacific Rim trade deal now being ratified. And even more access to Canada's domestic market appears to be part of the current renegotiation of NAFTA. The Comprehensive Economic and Trade Agreement (CETA) was provisionally applied on Sept. 19, 2017. More European cheese began to arrive last fall. "It's not totally clear how this is implemented in Canada," said Bernd Lange, the German member of the European Parliament who chairs its international trade committee and continues to monitor how the deal he helped broker is working out. In an interview with CBC News this summer, Lange said that when Canadian and European officials gather for their first joint committee meeting this fall, the EU side will raise the concerns of European cheesemakers who aren't sure they're getting all they bargained for, thanks to the way Canada is administering its imports. International Trade Diversification Minister Jim Carr will host European Trade Commissioner Cecilia Malmstrom in Montreal Sept. 26-27 for what's being billed as "stocktaking and a promotional tour." Data available online suggest why Europeans may be concerned. For 2018, the first full year the trade deal is in effect, Canada agreed to import 5,333 tonnes of EU cheese. As of the first week of September, only 1,821 tonnes of EU cheese had been imported — just over a third of the amount Canada agreed to allow in. Even taking seasonal buying into account (cheese is popular during the holiday season), the imports aren't on pace to meet Canada's commitments. Separately, the CETA increased the EU's share of Canadian dairy imports under World Trade Organization rules. About 68 per cent of that total was used by Sept. 5. Smaller volumes of cheese imports were allocated for Sept. 21 to Dec. 31, 2017. Roughly 96 per cent of the total allowance arrived. Between now and 2022, the amount of cheese Canada has committed to import annually from the EU will rise gradually to 16,000 tonnes. There's also a five-year phase-in period for imports of EU industrial cheeses (used in food processing) up to a limit of 1,700 tonnes. Canada isn't close to importing as much industrial cheese as it promised, either. 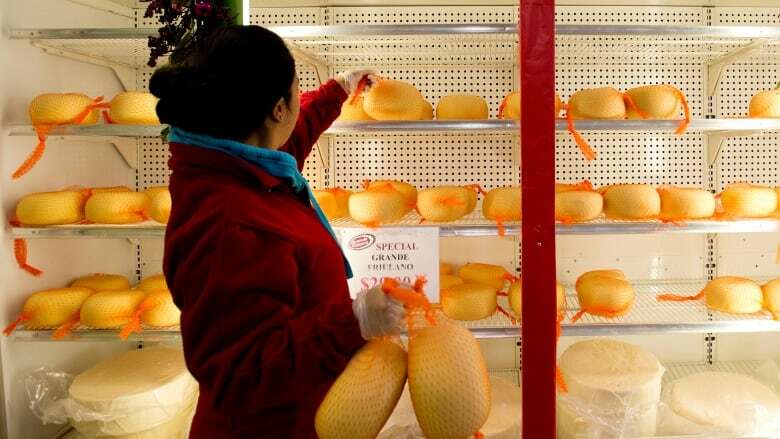 The federal government grants licences to control which businesses import EU cheese. Then-trade minister François-Philippe Champagne decided to split the imports 50-50 between Canadian grocery retailers and processors currently active in the domestic cheese industry. The federal government also split the imports 50-50 between large and small or medium-sized enterprises, to give a range of businesses a share of the profits. CBC News asked Global Affairs Canada for a breakdown of 2018 imports according to the categories the department set when it awarded its import licences. It declined to release this data, making it impossible to find out what categories of importers may be lagging — retailers or processors, small or large. "We're following it closely," said Mathieu Frigon, president and CEO of the Dairy Processors Association of Canada. "We do understand there are some players for which this is new business, and it might require time to set up. "I suspect at the end of the year the fill rate will be 100 per cent." When import quota has been allocated to dairy processors, they have never failed to use it, he said in a later statement. 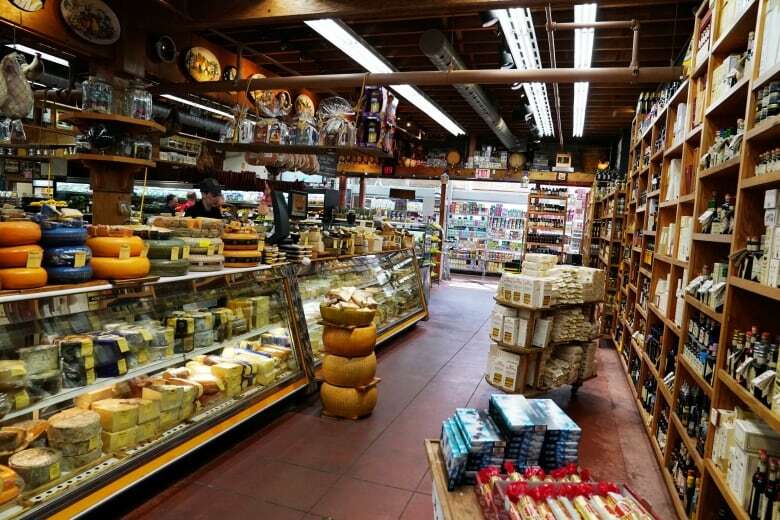 "What we are seeing now," he said, "is that [quotas] have been allocated to retailers and distributors that have little expertise and know-how in importing short shelf-life products such as the soft cheeses that the Europeans would like to bring in." On background, a senior federal official also expressed confidence that all the imports would arrive by the end of the year. Travellers to Europe often enjoy inexpensive cheeses they can't find at home. Has the EU deal brought them to Canada? Online data show the most common products from the EU so far in 2018 were varieties of parmesan, making up about a third of the new cheese imports. Parmesan has a long shelf life, making it profitable to ship longer distances. Other common imports were varieties of cheddar, gouda and brie. Canadians ate a lot of domestic cheddar before the imports arrived. Is the EU agreement living up to its promise of offering consumers more choice, or simply bumping off Canadian cheese? You can't draw that conclusion from the data, according to Karl Littler of the Retail Council of Canada. New varieties coming in from Ireland or the U.K., for example (think of Lancashire, Wensleydale or Cheshire cheeses) may be lumped into import categories that seem like cheese already available in Canada, but they're actually unique. "We may well be seeing more diversity within that category," he said. The retailers Littler represents lobbied for the right to import all the new cheese, not just half of it. Having domestic processors import cheese adds another middleman to the supply chain, they argued. "The closer you put it to the consumer, the fewer people who are tollgating it through on the way, the greater the likelihood that consumers will see the price benefit," Littler said. If importers don't run their own stores or sell online, they have to negotiate shelf space with grocery chains, often at considerable cost. But dairy farmers and domestic processors asked the government to give them a slice of import profits, as compensation for their lost market share. 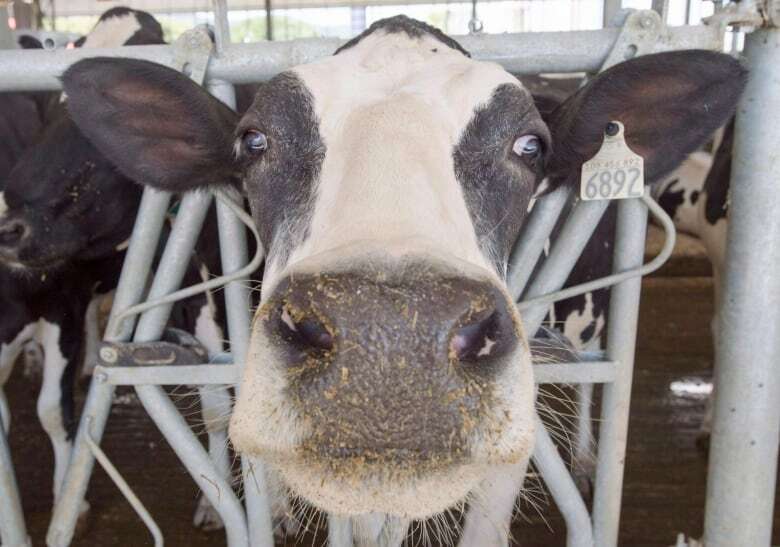 Over the next two decades, dairy processors say, the implementation of the CPTPP will result in a $700 million loss in their return on investments. Global Affairs Canada requires detailed audits from importers, causing some to question whether their compliance costs are worth the benefit they're supposed to be realizing from this freer trade. Importers were told to return any import quota they weren't going to use by Aug.1, so it could be reallocated. The government won't disclose how much quota was returned. It also will not say how it reallocated any returned quota. Lessons learned from the European experience may need to be understood quickly. While the CETA offered new market access for just one product — cheese — the Comprehensive and Progressive Trans-Pacific Partnership now being ratified by its 11 Pacific Rim partners provides new quotas for 20 types of dairy, egg and poultry imports, phased in between 11 and 19 years. It's unclear whether shipping logistics make it practical to import products from categories like fluid milk, eggs or fresh poultry from across the Pacific, but the new quotas were designed with American products in mind. U.S. President Donald Trump subsequently withdrew from the Trans-Pacific Partnership, but the quota wasn't adjusted. How much access Canada provides to Americans, and for what specific products, remains a bone of contention. Without speculating on the outcome of the NAFTA talks, Frigon said dairy processors are "adamant that any new dairy imports should not follow the CETA model." Meanwhile, Global Affairs Canada held a consultation over the summer to hear feedback on how to fulfil its CPTPP commitment. Littler suggested that if the new CPTPP quota was divided up similarly between small and large, and retailer and processor categories, the volumes for some of the new products — at least in the early years of the long phase-in period — might be too small to be worth bidding on. Cheese is a high-margin product. Milk powder, for example, isn't. The minister for trade diversification told CBC News last month he was "making no assumptions" and "relying in this case on consultations" to figure out how to administer the next wave of imports. "We're always looking at fixing things that aren't working well enough, and improving the way things have always been done," Carr said.